and invite L. Shankar back. Jan…I would never think to tell the super amazing super genius John McLaughlin what to do. John, I have seen many variations of your music and I have loved them ALL! 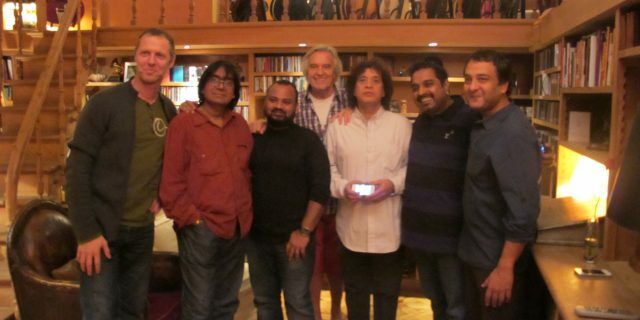 Now on Jan’s point…L Shankar was super amazing! My favorite Violinist ever! Even more than the brilliant Ponty! I am a very old John Mclaughlin’s fan since 1970’s. I would like to know whether a new recording is in schedule. Either Shakti or 4th dimension. Thank you very much for your fantastic music!! Yes, Tim, I can see you wouldn’t. I for one would very much like to see the indian singer dropped from the band. Anyway, who knows if L. Shankar is still up to it. Merry Christmas John and Shakti. GOD bless all !